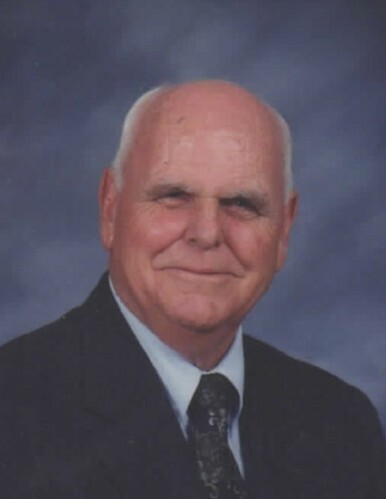 Milton S. Burks, 88, of Hillsboro passed away on his birthday, Friday, April 12, 2019 at his home. Visitation will be from 6 till 8 pm on Sunday, April 14, 2019 at Lawrence Funeral Home. The funeral service will be at 11 am on Monday, April 15, 2019 at the funeral home with Richard Alexander and Jackie Hill officiating. Burial will be in Bethel Memorial Baptist Cemetery in Lauderdale County with Dan Compton officiating. A graduate of Lauderdale County High School, Milton earned his Certificate of Ministry from the Clear Creek Bible School. 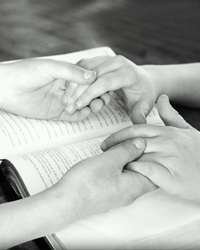 He served as a pastor for over 50 years and taught the Adult Men and Teens Sunday School Classes. Milton also enjoyed gardening, yard work and reading. Survivors include his wife of 67 years, Mary A. Burks; son, Charles Burks; grandchildren, Brad Burks (Nicole) and Beth Guin (Clay); great grandchildren, Luke Burks and Lauren Guin; and special granddaughters, Emily and Allison Alred. Milton was preceded in death by his parents, Ezra Milton and Thurza Lou Burks; and brothers, Donald Burks and Jimmy Burks. Pallbearers will be Danny Roden, Tommy Williams, Tony McConnell, Dwight McConnell, Jeremy Alred, and Chad Townsend. The family extends special thanks to Amedysis Hospice, especially to Dorothy Phillips, Heidi McKinney, Samantha Pope and chaplain, Richard Alexander.